There are so many reasons to take advantage of this time of the year. When done well, you’ll be surprised by how many non-golfers become familiar with your course and become paying customers simply because they know someone who is a golfer and want to buy them a golf related gift! Real Deadlines Motivate Your Customers to Take Action! Before you start planning your holiday promotion, you need to do a little legwork to make sure you’re as successful as possible. Let’s look at those steps you need to take. The first thing you need to do is brainstorm the types of products you’d like to offer. If you’re a northern state, then I’d recommend focusing more on Cyber Monday. Think about people who are sitting in their homes where it is warm. It’ll be much easier to appeal to them to make a purchase online than to get them to drive to your golf course which likely has strange hours in the off-season. Buying online is too easy! The next thing you need to consider is what you want to sell. I’m not talking about gift cards. I’m talking about a cool gift. Have you ever walked into Target and looked in their golf aisle? It’s filled with a bunch of junk that “golfers” would like. There are only so many golf club bottle openers that a person can own. Who wants a bag of tees from Santa? That seems like the equivalent of coal. Wouldn’t a golfer enjoy the gift of golf more? Of course! You’re probably thinking, can’t they just use gift cards to buy golf at the golf facility? The short answer is yes. However, you need to remember, we’re talking about gift giving. People want to give a cool gift. Gift cards just don’t really fit that bill. If you don’t believe me, then I invite you to come watch my teenagers open gifts. They’re at the age where they are hard to buy a gift for, so they get many gift cards from family members. There’s no gleam in their eye when they tear into that envelope. It’s like the Grinch gave them the gift card. Gift cards are just simply boring gifts. To get your creative juices flowing, here’s a list of some of my most popular items from my online store. If you don’t think you’re capable of an online strategy, then use this same mindset to come up with interesting packages that you can sell in the Pro Shop on Black Friday. 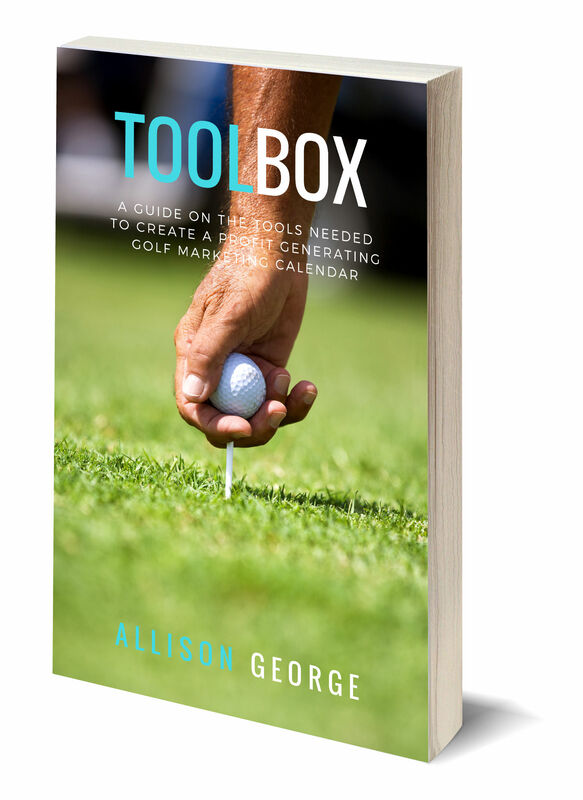 Put together interesting products that appeal to a variety of golfers and is a special gift that is only available on that day. Your main focus should be to think about the customer’s experience. When you’re creating the product, writing the emails and designing the website, look at everything through your customer’s eyes. Is it inviting? Focus on that experience in the words that you use to execute your Holiday Promotion. In this phase, you’re going to plan out how you want to sell this product and how you’re going to want the track sales in your POS and the procedure you’ll use for your staff. There are a few POS systems who have started integrating an online store feature, so that makes this phase easier for you. If your POS doesn’t have an online store feature, don’t fear! You just need to come up with a way to give the gifts their own unique order number. My website is built using WordPress.org. That allows me to install a free e-commerce plugin called Woo Commerce. I create products using Woo Commerce and then Woo loads them into my online store. I used a plugin add-on in Woo Commerce called Vouchers. These vouchers are simply PDF files that I created that look appealing as a gift. I used the Gift Certificate templates found in Canva.com to create these PDF files. Woo Commerce adds an order number to every order that is placed in my online store. That order number is unique to each customer order. That is how we track when vouchers are purchased and redeemed. I print an order list which shows what the customer ordered as well as the order number. When the customer brings in the PDF voucher, we mark the order number as used on the order sheet. If the customer loses their PDF voucher, then they can just show us the automated email that Woo Commerce sends when a purchase is made that has the order number in it. It’s a pretty simple process and will be unique to your golf course. Just make sure you think through all of the steps. Since many of the gifts will be printable PDF’s, they can easily be copied or printed more than once. You want to create a procedure that prevents someone from taking advantage of your online ordering. Visit with your web provider about what they offer. If you’re going the Black Friday route, then you could create an Excel Spreadsheet with order number in it. When someone purchases a package, you could give them the PDF Gift Certificate and then hand write the order number on it from the excel spreadsheet. The process should answer these questions. How will the online product be delivered, redeemed and tracked in the pro shop? Everyone will have a different method, so select something that is easy for you and your staff. Your holiday promotion is going to be driven by a deep discount. That’s the already established promotion that goes with Black Friday and Cyber Monday. Do not try to fight this and do something other than a great discount. You’ll be swimming against the already established marketing that is done for you on a national scale. At my course, I offer a one day sale of 50% off. Knowing that is the promotion that I plan to use, I price my items accordingly. I determine how much I need to make for the product I’m selling and then price it, so that I can take 50% off without losing money. You could also do a smaller discount, but maybe include a one time offer that is an add-on benefit. Think about what works well for your business. For example, maybe you include a $10 gift card with a $100 purchase from your store or maybe include a free lesson or sleeve of balls. You’ll also need to think through how you’re going to offer this coupon. Does your online store have this ability? Will you have to manually slash pricing in your store or can you offer a coupon code that is entered during the check out? I use Woo Commerce’s coupon plugin. I can assign a percentage discount to specific items. This allow me to offer 50% certain products and not others. I also sell Season Passes and other items in my online store that I do not want included in the Cyber Monday sale. When the customer puts in a special code, then the coupon automatically applies the discount to all qualifying products in the online shopping cart. This shouldn’t be a difficult stage, but does require you to define and determine how you’ll get this accomplished. Now that you have done all of the “dirty work.” You can begin the marketing for your promotion. The brainstorming and planning stages require more effort than the remaining stages. Put in the effort, so you’ll have good results. Mark it on your calendar to devote an hour a day to completing this promotion. You won’t regret it! Email One: 7 Days Before Cyber Monday: Teaser Email telling your list that you’re going to have a holiday promotion. CTA: Include links to your online products, so they know what types of things you’re going to offer. Email Two: 3 Days Before Cyber Monday: Second Teaser which gives a little more information about what your customer can expect in the next several days. CTA: Links to your online shopping page, so they can see what you’re going to offer. Email Three: Day Before Cyber Monday: Final Countdown which reminds them they will only have one day to take advantage of your holiday promotion: CTA: links to your online store. Email Four: Cyber Monday 12:01 a.m.: This email includes the instructions needed in order to redeem the offer. A coupon code or change in price online. This should go out at 12:01 a.m. People like shopping all day long on Cyber Monday, so give them what they want. CTA: Shop NOW! Optional Email Five: Cyber Monday 7:00 p.m.: Final reminder that the sale will end in five hours with instructions on how to make the purchase. CTA: Last Chance! Shop NOW! Email Six: Confirmation: You’ll want to write an order confirmation that provides instruction how to redeem the online offer with links on how to make an online tee time, sign up for a group lesson, etc. Whatever information is needed in order for your customer to be self sufficient. Email Seven: Download: This is the final email that will be sent to those who made a purchase. This is just a friendly follow up email asking them if they had any trouble with downloading the product. Your online promotion should start 7 – 10 days. This can be done in many ways, so you’ll need to think about how it will work best for your golf facility. For me, I have my FB ads set up to link to a landing page. This landing page includes an opt-in that they fill out. They are opting in to an email list that emails out the code they can use on Cyber Monday. I do that for the pre-promotion because I don’t want people to use the coupon prior to Cyber Monday. I want them to sign up for my email list to make sure they’re getting the coupon code which isn’t delivered until Cyber Monday. If you’re not able to create a landing page with an opt-in form, then your ad will just want to be a teaser ad that is a countdown to Cyber Monday sale. The link to the ad should be directly to your online store where you can have a banner talking about your Cyber Monday sale. You’ll post your coupon code in the banner on Cyber Monday. Please note: The first time I created a holiday promotion, I didn’t advertise online and only focused on email. There’s nothing wrong with that, so don’t let this suggestion intimidate you. The goal here is to at least sell ONE thing on Cyber Monday. I want to push you out of your comfort zone. You can do this!!! On Cyber Monday, my FB Ad switches to include the coupon code with a link to my online store that they can use. This eliminates the landing page. Optimize Your Website for promotion! Include a countdown timer and images that are holiday related. Theme your homepage, so that it’s easy for people to see you’re participating in a sale. If possible, include testimonials from people who have purchased a similar product in the past. Include images in your Instagram Story of the products you’re going to offer in your Holiday Promotion. Your CTA (Call to Action) might be click the link in my profile to get the Cyber Monday discount. That link would go to your landing page that you created to get their email addresses. Focus on simple, clear messaging and make sure you use beautiful images as those are the driving force of Instagram. I recommend making sure someone is available to answer questions during this promotion whether it be via email or phone on the day of the promotion. You’re going to get an older generation that struggles with taking advantage of the offer, so be prepared to walk them through. Be firm on your policies and your deadlines. When you blur the lines, then it makes it difficult to be credible in the future. You want people to make a holiday purchase next year, so be true to your expectations. During your peak season, be sure you check in with your golfers who made purchases to make sure they are redeeming them and are experiencing something that makes them want to make the purchase again. You want to Over Deliver, so your customers are wowed with the overall experience! I can’t encourage you enough to spend an hour a day to build a profitable holiday promotion. Get focused and put it on your calendar. 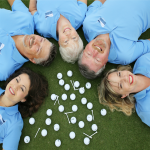 Treat it with the level of importance as your most profitable golf outing. Let’s have an amazing holiday season together! I created a checklist for you to use, so you don’t miss any steps. You just need to dedicate 1-2 hours a day for the next three weeks to have a successful promotion. Don’t let this intimidate you. You’ll never know the success of a holiday promotion without giving it a try! Click the image to grab the checklist!